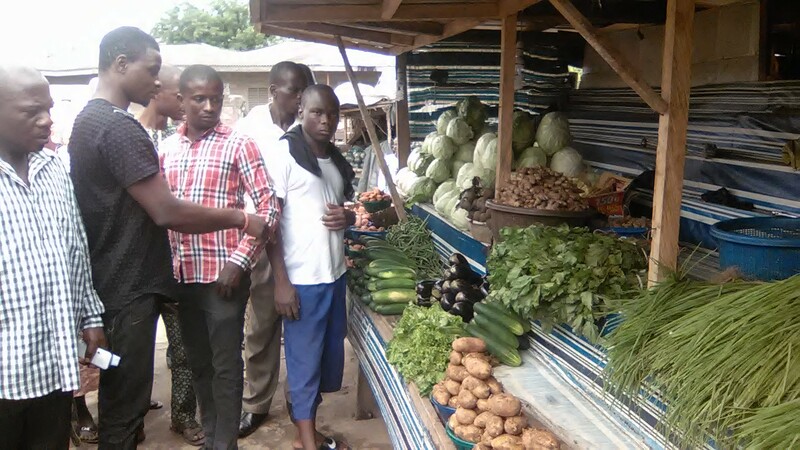 No doubt, there is enormous potential in vegetable business particularly production on a large scale. Realistically, not everyone can venture into large scale production owing to the large amount of capital it requires and the enormous managerial skill it demands. Luckily enough, in the world of vegetable business, there is room for everyone ranging from small scale backyard producer even to industrial farming. I have often seen people particularly women who really wish to farm but couldn’t go that distance of securing land in rural areas far away from urbanization because of social commitment. I have good news for you; you too could practice vegetable farming around your domain. Fried rice ingredients vegetable crops have enormous markets but few large scale producers. All you need to do is to learn the basics of production and understanding how to source for markets around your neighborhood; welcome to the world of regularly income earners from small scale vegetables cultivation. 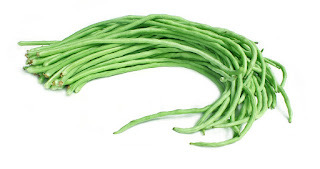 The series of articles on this topic would focus today on yard long/short beans while you can check back for articles on lettuce, cabbage, onion/spring onions, eggplant, carrot, green pepper etc. Is your backyard land size big enough or you can locate a 35m x 10m land size close to your residence? Do you have passion for vegetable production biz? Then, you aren’t far from making regular income with little stress. Step 1: Locate a site with sandy loamy soil that is well drained. Prepare the land by ploughing then harrowing to loosen the soil structure. Well, since you are expected to be within city for small scale production, just get labourers to clear the land of trees, shrub and weeds after which they would turn it with hoes in the process of making flat beds. (Note: this is necessary during wet season to ensure adequate water run off). After flat parallel beds are made, incorporate old (cured) manure or compost on the beds manually. The spacing between one bed and another could be around 1 to 1.5 meters for easy accessibility and working of the farm. This also ensures adequate ventilation particularly during raining season. Step 2: Get a certified seeds from a reputable seeds company (ies). Make sure the expiring date is still considerably far away. Plant the seeds at the rate of two seeds per hole (but thin to one after germination) at 30cm distance between each hole on a row (beans require no nursery). You can use NPK as basal fertilizer applied at the rate of 6-10 gram per hole. Remember the distance between one row and another should be between 1 to 1.5 meters. On 35m x 10m land size, you would have around 1160 holes which translate to an average of 2300 seeds or 230g of seeds. Refer to our article on seeds catalogues to learn more on seed packaging. The seeds germinate after three to five days of planting. Step 3: Chemical protocol should be handy before cultivation with all the necessary agro-chemicals and spraying tank. Pesticide particularly those with contact mode of action should be applied immediately after germination at a mild rate according to the prescribed dosage rate. Make sure you spray either very early in the morning or late in the day to prevent burning (chemical injuries) of the seedlings. The pesticide application can be repeated every one to two weeks. It is also advisable to interchange with insecticide with systemic mode of action particularly at vegetative stage and those with fumigant property at fruiting stage to control pod borers. Fungicide should also be applied every three weeks as a preventive measure particularly during the wet season. The activity of nematodes is also of notable concern, optionally, you can lime the soil to reduce the acidity of the soil and eliminate conducive environment for nematodes. Step 4: If you apply NPK fertilizer in form of basal application before planting, you may not need to add another except at the onset of flowering and after first harvest. If you don’t apply NPK as basal fertilizer, then apply few days after germination in band or spot application but make sure it is buried at least 3-5 centimeters deep. In addition to soil fertilizer application, it is also advisable you spray growing crops with folia fertilizer which supplies the micro nutrients which enhance resistance to diseases, flowering and fruiting. Spray every two weeks. 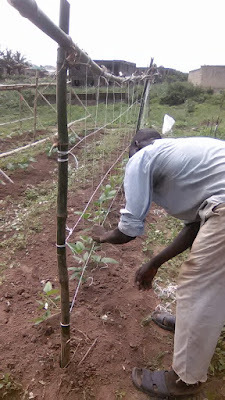 Step 5: Staking or trellising is essential if you intend to harvest anything from the field. Stake at most, 3 weeks after germination before the onset of flowering. There are varied methods of staking but cost effectiveness should be considered in adopting any. A simple example is shown the picture below. Step 6: Putting the weeds under control is the first step to guarantee success. You should ensure regular weeding or perhaps you could save yourself of much stress by applying pre-emergence herbicide on already made beds a week plus before planting the seeds especially during wet season. This would give you certain grace of no weeds problem. Step 7: Make sure you have good irrigation measures in place during dried season but you would not need such during wet season unless you plant in screen house. Maturity period of beans ranges between 45 to 50 days after planting. For 10m x 35m (around half a plot of land). Each stand is expected to produce an average of 0.2kg of fruits in its life time. So if you have 1160 stands, then you should have an average of 230kg. A kg on the average is sold for 1$ or 300 Naira. Make sure you harvest every day and pack fruits carefully into a well-ventilated box. Make sure you locate at least 5 to 10 neighborhood markets and inform them before hands what your plans are and supply them in turn according to the demand but also carry out market intelligence before supplying so that you won’t be short-changed by the buyers. In addition, you could network catering services who could do farm gate purchase weekly. IF YOU NEED SPECIFIC INFO ON THIS TOPIC, BE FREE TO CONTACT US OR LEAVE COMMENT BEHIND. PLEASE MAKE SURE YOU CLICK 'VIEW WEB VERSION' TO SEE ALL THE FEATURES OF OUR BLOG SITE IF YOU ARE USING MOBILE DEVICE TO BROWSE.